The Tesla Powerwall is an energy storage system for residential use. It has an intelligent design that can let you store power from your solar power system. You can also get power from the grid, so you have the energy to use when the power is down. With its many features as an emergency power system, the Tesla Powerwall is actually designed to be used for homes with onsite solar power systems. This is so that the power being generated during daytime can be extended way into the night. Let’s take a closer look at it with this Tesla Powerwall review for 2018’s buyers. What you will probably first notice in the Tesla Powerwall is that it has a large surface area. It is around 4 feet by 3 feet. But they are really quite thin at just 5.5 inches. Just like many of the creations of Tesla, the Powerwall can be installed at home, and it won’t be an eyesore. You can even work it into being a modern art piece. The Powerwall also has subtle LED lights the gently pulse the green light so that you can see that it is working, especially at night. You can be sure that the Powerwall can be seamlessly integrated into your solar power system, the grid, or an EV in your smartphone app. This gives you visibility as well as control on the power generation and also its usage anytime. It will be able to show clearly the generation of power from your solar power system to your battery, home, or grid. It depends on the balance of the generation of power as well as the demand. You can also analyze it through graphs so you can better understand how your system is working. This is great because then, you can further make adjustments to how you use power so you can be less dependent on the grid. Energy storage systems at the kilowatt-hour scale for home use are still quite new. Not many homeowners have embraced this technology because of course, it is not cheap. Also added to that is the investment of raising the capacity of the base infrastructure so that the high power that the Powerwalls can produce can be accommodated. Adding two powerwalls, twenty-four solar panels, and two EV chargers can put a typical home beyond its capacity because of the push and pull of power from and to the grid. You may need an upgrade of your electrical service. And this may entail running the new service line across your neighbor’s property, an electrical subpanel, and numerous 240v electrical circuits. These kinds of upgrades in the infrastructure are common. That’s why it is also a barrier when it comes to the application of cleantech products for home use. However, don’t let that discourage you from getting clean energy if you can. There are always some ways to innovate. For example, with the electric vehicles, the level one chargers that pull 12amps have the ability to push enough energy into the EV, allowing you to offset the daily average driving range. There are EV chargers with an intelligent design such as eMotorwerks’ JuiceBox. They have the ability to make simple appliances convey energy from the wall onto the vehicle. It is a very innovative strategy with the software’s power. These innovations with the EV charging is also apparent with solar panels, inverters, electric vehicles, and energy storage. Procurement, as well as installation, are becoming much easier with innovations like this. Imagine if every homeowner can apply clean energy into their homes. We will become less and less dependent on fossil fuels. If we look at it, these cleantech products are becoming more accessible to many homeowners. With enough resources and enough innovation, these clean technologies are more than capable of getting power from the sun and store it to provide energy for EVs, smartphones, computers, and other devices that we seemingly can’t live without. The Tesla Powerwall 2 release date has been highly anticipated, and it’s now finally here. However, as for the Tesla Powerwall availability, the units available are still limited until such time that the production of the Powerwall 2 increases. Two years ago, the first generation of the Powerwall was released. It has the capacity of 6.4kWh. 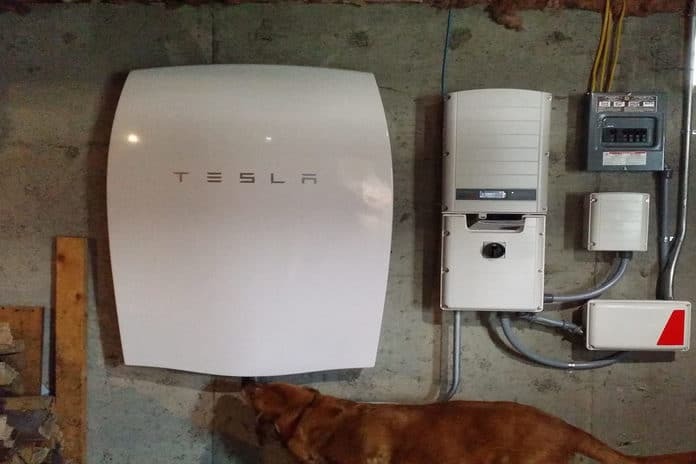 The Tesla engineers immediately went to work and developed the second generation Tesla Powerwall so that you can get twice the storage capacity. The great thing about it is that it is not as expensive as the first generation model! The Tesla Powerwall 2 has a storage capacity of 13.5kWh. It also has an integrated inverter with the price of $5500. The first generation Powerwall cost about $7200. You get to have the latest one at about 40% less the cost. The reduction of the cost was achieved because of the huge battery facility for manufacturing in Nevada. It is known as the Gigafactory. Both the first generation and second generation models use battery cells from Panasonic. These batteries are very similar to the ones used for the electric vehicles of Tesla. However, with the new generation, it uses a big 2170 lithium battery. The lithium Nickel-Manganese-Cobalt batteries for the Powerwall 2 are made by Panasonic in the Tesla Gigafactory. The Powerwall 2 has been redesigned completely so that it is more compact and much easier to install and use. There are no more sleek curves. Instead, it has a square shape that is more practical. It vents on each side so that it can cool down. It also has a LED strip of bright green color. You will probably find it interesting that even with a complex system as this, it just has a simple switch for the on and off on one of the sides. The second generation Powerwall weighs at 120 kilos. It is not light at all. But don’t worry, you can mount it either on the wall or on the ground. Its IP rating is high at IP56. However, it is still recommended that you install it in a location that is sheltered such as in your garage. Keep it away from direct sunlight as much as possible. When you purchase the Powerwall 2, you will also have an AC-DC inverter integrated to it. You get more for its price, and you can immediately see that it is better than any Tesla Powerwall alternative. The power of the inverter is high. It has a 5kW continuous output as well as a 7kW peak. The previous model only had a 3.3kW DC output. With the greater power output, the Powerwall 2 is more compatible with the usual loads of a typical home. And an average household can have numerous electrical appliances running at the same time. Tesla’s Powerwall models are the only batteries on the market today that incorporates liquid cooling with its operating temperature of -20°C to 50°C. However, it is most likely that it will reduce the output when it is already above 40°C. This reduction of power is a common issue for many lithium-based batteries.But with the liquid-cooling, the Powerwall 2 can release the heat while charging and during high loads. This allows the battery to have a longer life as well as improved performance even at high temperatures. The Tesla Powerwall 2 has an AC in and AC out. What this means is that for it to work with your solar power system, it needs to have a solar inverter. You can use any solar inverter because its operation will be independent of that of the Powerwall’s. The AC batteries are more popular because it is easy to install. 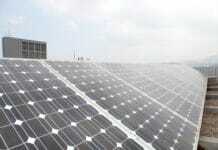 However, they may not be as efficient compared to the DC systems if they will be used with solar power. This is because of the conversion losses from DC to AC. This is how it works: The solar energy is DC. It is then converted by the solar inverter into AC. It goes back to being DC when it is stored in the batteries. Then when you use it to power your electrical appliances, it goes back to AC. With all these conversions, you will lose about 3% to 5% of power. 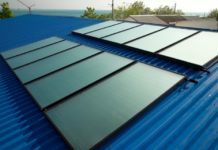 Today, there are several hybrid solar power systems that are available in the market. They incorporate the solar inverter as well as the battery inverter all in one unit. Installation becomes easier, and you will also need less space for it. It is rather unfortunate that the Powerwall 2 won’t be able to function as a power supply backup without requiring some additional components. To do this, you need to have a Backup Gateway and have it installed. This will require some additional cost. You should also know that the Gateway box is rather large and it is not very pleasing to the eyes. It can communicate with the Powerwall through wifi. Its main job is to keep the house off the grid in the event that there are any issues with the supply of electricity. The Gateway box can detect that. If you want to use the Powerwall so you can be independent of the grid, you can use it as a backup. However, it is not designed to be your dedicated system for off-grid power. So before you consider completely being independent of the electricity grid, you have to be fully aware of the functions of the Powerwall and what its limitations are as well. When you purchase the Tesla Powerwall 2, you get a ten-year warranty. You also get unlimited cycles but only if you use it for backup and self-use only. The Powerwall 2 has a better warranty than the first generation model. But you may find that it is still quite ambiguous. An example here is that if you charge it during winter with off-peak energy, the annual cycles can be much higher. It will also have a reduced capacity at a much higher rate. But since all of the batteries have reduced capacities after some period, the retained capacity of 70% after ten years is already reasonable. Tesla has learned a great deal from the first generation model. They were able to address many of the issues raised by the users. This includes the limited compatibility. The battery had a high voltage, so that means it needs a particular hybrid solar inverter for it to function properly. Tesla was able to address this by making a second-generation model that has an AC battery that can independently operate from the solar inverter, making it compatible with just about any solar power system. A downside is that the built-in inverter is not capable of isolating itself from the electrical grid so it needs a few more components so that it can function well as a power supply back up. Another thing to consider before you buy the Powerwall is that it is not designed to be used as an off-grid installation. Overall, the Tesla Powerwall 2 has the best value when it comes to the different battery systems on the market today. It has a large storage capacity at 13.5kWh. It is capable of handing modern homes that use multiple appliances at one. Another is that it is the only battery system that has incorporated liquid cooling. With this feature, it can outlast other batteries at the same time, especially if you are in a place where the temperature rises considerably high. Its ten-year warranty and the expertise of the Tesla company for manufacturing these battery systems, you can be sure that you are getting a high-quality battery that can perform excellently. If you are looking for Tesla Powerwall for sale, then you must know that with its limited release and the Tesla Powerwall availability, you may have to wait a bit to get one. But if you do want to get something similar, there are already plenty of hybrid systems on the market that is also great and have reasonable prices. (You can check our list of best solar battery so that you can get better deal). Many of these systems also include a backup function and solar inverter, giving you a fully complete unit. Hopefully, this Tesla Powerwall review has given you much insight into the features and what this battery system has to offer you. If you have any questions about it, simply email us, and we’ll share more information with you. By the way, you can read about the Tesla Powerwall price in Australia if you live in Australia.